Physical control violations are often misunderstood. Whether or not you fully understand this criminal charge, a conviction may cause you and your family plenty of hardship. If you are found driving with a blood alcohol level (BAC) of .08 or higher, you may be charged with a DUI (Driving Under the Influence). The difference between a DUI and physical control violation is that you could be charged with the latter even if you are not in the act of driving,. If an officer approaches your automobile and you are exhibiting signs of intoxication, you may be charged with a physical control violation just for sitting anywhere in your automobile. In fact, it’s possible you could be charged with this crime even if you're entirely outside of your motor vehicle. The complexities that must be addressed in these cases are numerous, so contact our experienced Kirkland physical control lawyers and start getting answers. Here at the Law Office of Jason S. Newcombe, we will explain how this crime is handled and discuss ways to alleviate some of the punishments you may be facing. If you want to have any chance of keeping your driver's license, you must request a hearing with the Department of Licensing. You only have 20 days from the time of your arrest to request this hearing. Mandatory punishments for a physical control violation are similar to a routine DUI, and may include expensive fines, up to 364 days in jail, and a driver's license suspension. Prosecutors in Kirkland DUI cases often seek maximum punishments. It can be extremely difficult to negotiate plea agreements that reduce the severity of the charge. Our Kirkland physical control attorneys may be able to help you in a variety of ways, so do not waste time in contacting our law office. The first thing you will want to consider is whether or not it's possible to seek the dismissal of your DUI charges. 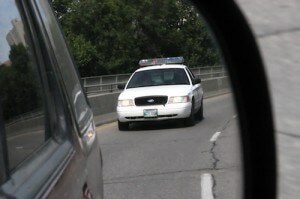 Your attorney will want to take a look at the police reports and review the details surrounding your arrest. We may encounter problems with this evidence that could permit us to seek the dismissal of your criminal charges. For example, if your vehicle was parked off of the roadway when the arresting officer first noticed it, this information could be used to have your charges dropped. If your auto was inoperable, this fact may also help us positively resolve your case. Our Kirkland physical control lawyers will comprehensively investigate your personal case in an effort to potentially uncover evidence that supports your side of the story. Contact us to schedule your own free case evaluation so that you can get more information concerning physical control violations in Washington State. Once you have all the facts, you can decide if you would like our 30 years of combined legal experience to help you resolve your case in a timely manner. 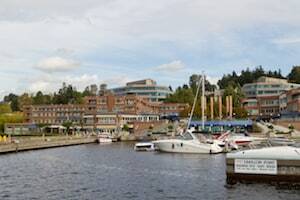 Any drunk driving crime can make it difficult, if not impossible to travel across the US/Canada border to our north, which could be particularly troublesome for some Kirkland residents. Please don’t underestimate the long-lasting damage that a physical control violation can cause; contact our Kirkland law firm and take steps to safeguard your future.